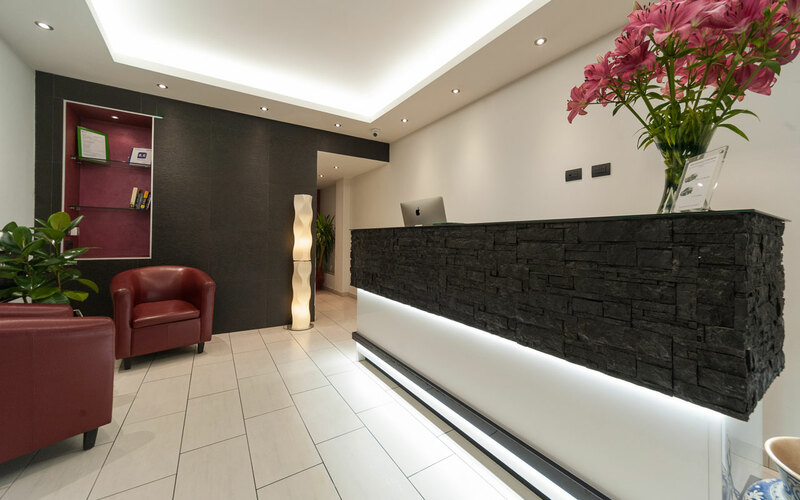 The Trevi 41 Hotel guest houseoffers first class accommodation consisting of stylishly furnished rooms located less than 100 metres form the Trevi Fountain in the centre of Rome. To see the best of the historic centre’s jewels all you have to do is roll out of your accommodation bed and you’re almost in the Trevi Fountain! Our guest house’s central location, on Via della Panetteria 41, greatly favours stress-free exploration of the endless treasures that are to be discovered time and time again in Rome. Leonardo Da Vinci Airport is well linked with Stazione Termini in the centre of Rome. The Leonardo Express train runs every half hour and is a quick and cheap way of getting into the centre of Rome. Otherwise we can arrange transportation for you to and from the airport. Ciampino airport is favoured by low-cost airlines and as a result offers fairly regular transport links. However, Terravision, who work in conjunction with Ryan Air and Easyjet, are the most expensive and have the longest wait times. Our advice is to buy your bus ticket on the ground outside Arrivals. Trevi 41 Hotel guests arriving by car can take advantage of two private car parks. Parking Ludovisi at Via Ludovisi 60 and Parking Villa Borghese which has an entrance on Via del Muro Torto. Take bus N. 85 from Termini Station and get off at the second stop on via del tritone, our relais is just across the street on Via della Panetteria. The Trevi 41 Hotel is only a 10 minute journey from Termini Station (Stazione Termini) by taxi. Again, you’ll find lots at the main entrance going out onto Piazza Cinquecento. The Trevi Fountain – on your temporary guest house home doorstep!